Stop everything and watch this three and a half minute video right now. I love Bombas socks. I love the soft fabric, blister-preventing-padding in the right places, durability, arch support, cool designs and color combinations. Oh yeah, and for every pair sold, a pair is donated to a person in need. Chad and I have about thirty pair of Bombas Socks between the two of us. 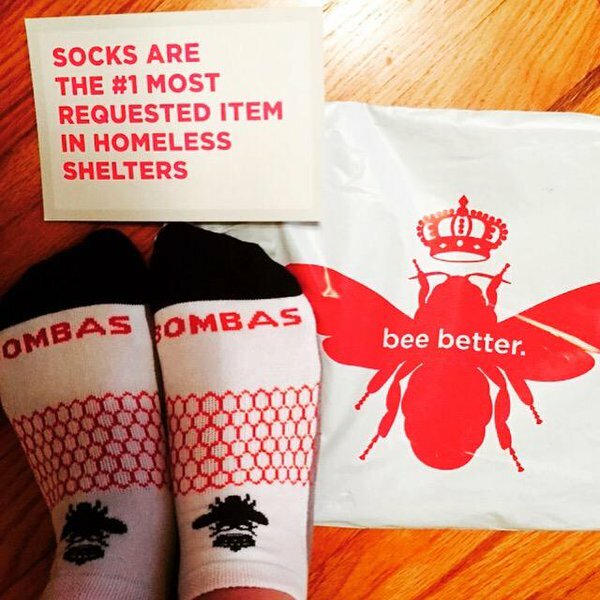 I even sent a bunch to my nieces and nephews for Christmas when Bombas started making kids' sizes. I sent my mom a pair in one of her Mother's Day gift boxes a few years ago. I love these socks. I love the Bombas mission.